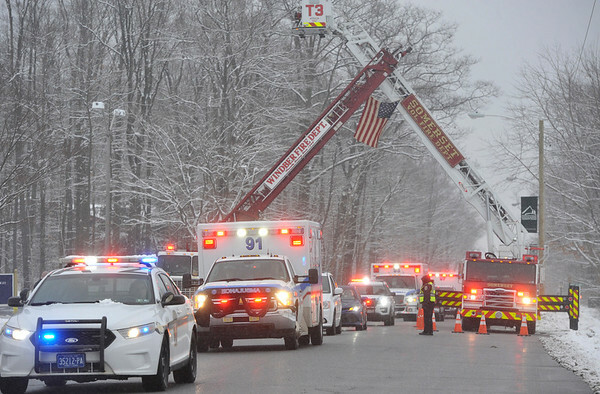 The ceremonial procession passes under the Somerset and Windber area volunteer ladder trucks parked along Highfield Ave.at the University of Pittsburgh at Johnstown campus..Pa. State correction Sgt. Mark Baserman, was fatally injured as a result of an attack by an inmate at SCI Somerset last month. Wednesday, March 7, 2018. (AP Photo).